Sopheap's birthday was a success. The grilled food was good as usual. 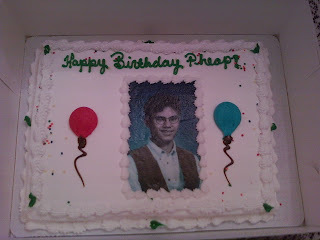 The best part was the cake.With the help of a friend I got a picture cake from Ukrops. The picture was of him from middle school of him (I believe). I am not sure if he liked it or not. You be the judge.